Bengaluru: In a huge boost on Deepavali Day to JD(S)-Congress coalition Government in the State, the ruling coalition candidates won four seats while the Opposition BJP managed to bag just one seat, in the by-polls held to three Lok Sabha (LS) and two Assembly Constituencies on Nov.3, counting for which was held today. Even though the results, numerically, will make no difference to the Government, the by-poll was seen as a test for coalition partners, which fielded consensus candidates. While JD(S)-Congress secured a thumping victory in Ballari (ST) and Mandya LS and Jamakhandi and Ramanagara Assembly, BJP managed to retain the prestigious Shivamogga LS seat. In Mandya, JD(S) candidate L.R. Shivaramegowda romped home defeating his nearest BJP rival Dr. Siddharamaiah by nearly 2.9 lakh votes, a record margin of victory. While Shivaramegowda secured 4,94,728 votes, BJP’S Dr. Siddharamaiah bagged 2,05,357 votes, while all other seven Independent candidates in the fray, forfeited their deposits. Shivaramegowda managed to consolidate his margin right from the first round soon after the counting began at the Government Boys PU College here at 8 am and ultimately won by a record margin of 2.9 lakh votes, a feat unmatched so far in the Constituency. In Ballari, V.S. Ugrappa of the Congress too scored a record margin of victory, defeating his nearest rival J. Shantha of the BJP by a huge margin of nearly 2.44 lakh votes. While Ugrappa secured 6,28,163 votes, BJP’s Shantha managed only 3,84,892 votes, while the two other Independent candidates in the fray lost their deposits. With this victory, Ugrappa will be entering the Parliament for the first time, though the term is less than 6 months. The LS Polls is scheduled to take place in April-May 2019. In Shivamogga, BJP candidate B.Y. Raghavendra, son of State BJP Chief B.S. Yeddyurappa (BSY), managed to retain the seat for the party by defeating Madhu Bangarappa of the JD(S) by over 52,000 votes. While Raghavendra polled 5,43,306 votes, Madhu Bangarappa secured 4,91158 votes. The by-election to the three LS seats was necessitated by the resignation of Yeddyurappa (BJP-Shivamogga), B. Sriramulu (BJP-Ballari) and C.S. Puttaraju (JD-S, Mandya) following their election to the Assembly in the May 2018 polls. The by-poll results to the two Assembly segments sprung no surprise as the JD(S) candidate Anitha Kumaraswamy won from Ramanagara and Anand Nyamagouda of the Congress won from Jamkhandi (Bagalkot district) as expected. Anitha Kumaraswamy, wife of Chief Minister H.D. Kumaraswamy won by a record margin of nearly 1.10 lakh votes from Ramanagara. Anitha defeated her nearest rival L. Chandrashekar of the BJP, who announced his retirement from the contest just two days before the Nov. 3 poll and backed the JD(S) candidate. In Jamkhandi, Anand Nyamagouda scored a thumping win over his nearest rival Srikanth Kulkarni of the BJP by nearly 40,000 votes. While Anand polled 97,013 votes, Srikanth Kulkarni managed only 57,529 votes. While the Ramanagara by-poll was necessitated due to the resignation of Chief Minister Kumaraswamy, who opted to retain the neighbouring Channapatna Constituency, after winning from both the seats in the May 2018 polls, the by-poll to Jamkhandi Assembly segment was due to the death of Congress MLA Siddu Nyamagouda, who died in a road mishap, just a few days after his election in the Assembly polls. While the Congress managed to make a deep dent into the BJP stronghold in Ballari, the BJP succeeded in retaining Shivamogga, which was represented by Yeddyurappa before his election to the State Assembly. The by-polls to the three LS seats witnessed a tepid voter turnout, while the voter turnout for the Assembly Constituencies was much better, with Jamkhandi recording its highest polling percentage of 77.17. The by-elections, especially for the Lok Sabha seats, began as a drab political exercise, but later turned out into a high stake battle for various leaders of the three political parties, including Chief Minister Kumaraswamy and former PM H.D. Deve Gowda of the JD(S), former CM Siddharamaiah and senior leader D.K. Shivakumar of the Congress and State BJP Chief Yeddyurappa and senior BJP leader B. Sriramulu. The prestigious Shivamogga LS seat was a battle between the sons of three former Chief Ministers — B.S. Yeddyurappa, S. Bangarappa (late) and J.H. Patel (late). While BSY’s son B.Y. 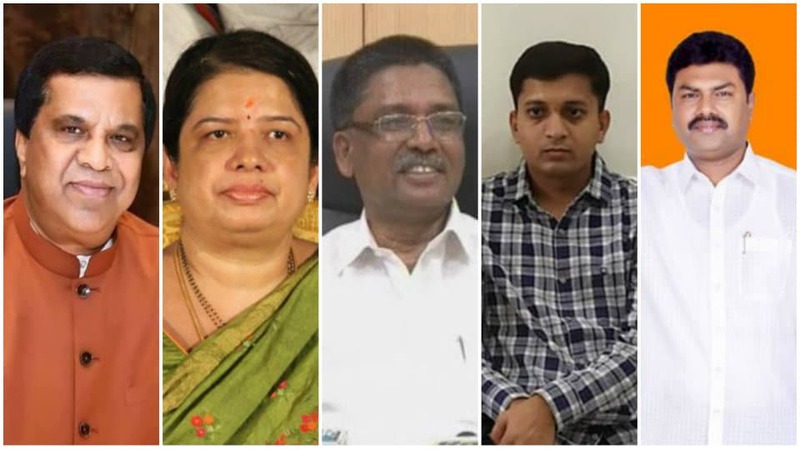 Raghavendra contested on BJP ticket, Madhu Bangarappa entered the fray on a JD(S) ticket and Mahima Patel joined the fray as an Independent candidate. However, Raghavendra, managed to retain the seat in a battle of prestige, defeating Madhu Bangarappa of the JD(S) in a keen contest, while Mahima Patel fared badly and lost his deposit. ‘Acche Din’ finally appears to be coming! True, 2019 Ache din will start. It must be very painful for Star of Mysore and many other media’s seeing this result. ha ha ha, how very rightly written. The editors of Star of Mysore are more tolerant and fair minded than you are. They publish your letters. If you have such an antipathy towards Star of Mysore, why the expletive deleted hell do you bother to comment? because its in public domain so I am its customer and have every right to express my opinion. Why are we bickering about congress or BJP ! We are almos at the end of the tunnel! 2019 is almost here! We are all the victims of Modi’s corrupt practices and attrocities ! We will overthrow. Modi and elect Rahul as our PM! With done luck, we should be able to Jail Modi and his gang for the rest of his life and talk to himself about monkey bath! With right kind of trial, we can reopen Godhra and even give him death punishment!